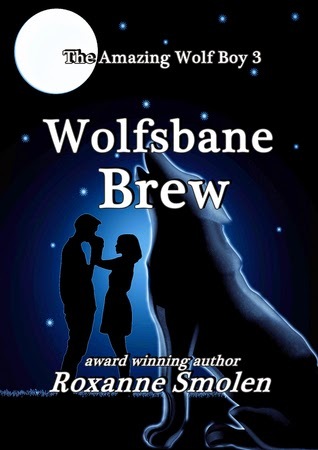 Wolfsbane Brew follows Cody Forester, a werewolf who is just beginning to transition into his powers. But, Cody is different, for his powers are far beyond what any other werewolf has ever seen. Cody can shift before the full moon, meaning that Cody can change into his werewolf form before the moon is even out in the sky. While Cody is embracing his new powers, others around him are not so supportive. Cody tries to hide his new powers, that is, until new werewolves comes to town, and his girlfriend Brittany is threatened. Cody now has to learn more than ever, and decide to overcome his own fears in order to save those who he truly loves. To begin this review, I would like to look at the intended audience. I felt like this story was meant for Middle Grade to Young Adult readers. The language was very easy to understand, and the chapters were of appropriate length for this type of story. I could see middle schoolers reading this story and falling in love with the characters and the plot. This being said, I did think that the book was a little on the longer side for middle grade. I embrace and welcome the ability to read more complex and longer novels, however, I do feel that, for a fifth or sixth grader reading this, the size can be a little daunting. However, I do believe that Ms. Smolen did a great job with creating her characters in this story. I fell in love with Cody the second that I picked up this book, and his girlfriend, Brittany, grew on me since chapter one. I could easily sense that Cody was a rebellious teenager, but that he also strived for acceptance from his uncle and girlfriend. I also was able to see that all Cody desired was freedom for himself - and this was all within the first two chapters of the novel! In terms of characterization, I can easily imagine Middle Grade and Young Adult readers instantly connecting with Cody. Personally, I loved seeing changes in Cody's characters throughout the story. I loved being able to see several sides of him, and how his actions changed depending on who he was around. Cody was all confidence around his girlfriend, Brittany, but he tended to be more solitary and quiet in his home and around his uncle. This was the time where a lot of Cody's anxieties were brought up within the story, and I could easily sense the change in the moods that Cody was in as well, depending on where he was or who he was with. In terms of Cody's girlfriend, Brittany, I have to say that I did not instantly fall in love with her character. But as the story continued, I found myself wanting to know more and more about Brittany and her family, and that is something that Ms. Smolen did not let me down on! I was extremely happy that I was able to see her interactions when she was not around Cody as well, because I think it allowed me to paint a more accurate picture of her within my head, as well as create her personality. I loved the fact that I was able to see the actions of several characters when they were alone. I was able to see how Cody was acting when he was not around Brittany, and I was able to see Brittany's life and perceptions when Cody was not around her. I really loved to see the contrast of these two lifestyles. I think that this change in "viewpoint" enhanced the story and my connection to it. I also felt like the plot progression was perfectly timed. I was able to learn a lot about the characters while also having lots of action scattered throughout the story. I was able to better learn the motives of the characters for their actions. I would also like to say that Ms. Smolen did a great job with the story itself. I did not read the first two books in the series, however, after reading this novel, I would say that I understand the story very, very well. I did not feel like I was missing any information from the first two books. If need be, this book could be read as a standalone. I do, however, feel that reading the first two books would add different context to the story and the reader may hold a different appreciation for the story. I also really, really loved the significance of the title! Overall, I really loved the story, and I cannot wait for a continuation of the story! I received this book from the Goodreads "First Reads" Program.